IWASSA Co.: "Facebook" launches a new application and a special Star Celebrity . 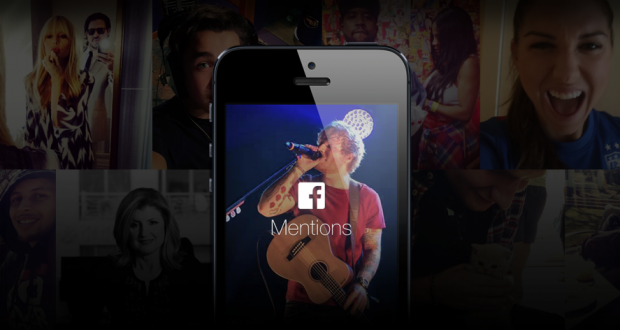 "Facebook" launches a new application and a special Star Celebrity . Launched a social network "Facebook" today a new application for the operating system "iOS", bears the name of "Menchenz" Mentions targeting celebrities and public figures. The application is designed, developed by the "Creative Labs Facebook" Facebook Creative Labs, to help the actors, athletes, musicians, and other influential figures to contribute and interact more with the platform "Facebook". While the application seems similar to the design of the application, "Facebook" primary, but it offers an enhanced experience and a little bit different, where comes the "Latest News" News Feed divided into two categories, namely "follow-up" Following and "more threads traded" Trending. She said, "FaceBook" The goal of this change is to make it easier for celebrities add their voices and their news while wandering outside the home. Trending section is similar to the same feature that appears on the right end of the section "Latest News", a copy of "Facebook" on the desktop, and aims to help the celebrity publishing, according to the most heavily traded topics across the network. The application provides a button for publication posting pictures and videos, and status updates easily and conveniently, it also offers the advantage of "questions and answers" Q & A allows celebrities to open the field to communicate with the public. The application provides "Menchenz" Mentions an acronym for user profile, in addition to the department's "signals" Mentions that says "Facebook" It will help to see what celebrities are saying about them and the public to join the talks. It is worth mentioning that the application of "Menchenz" Mentions now available for pages that are documented in the United States only, but "Facebook" and promised to be made available to more countries and accounts documented in the coming months.